In today’s highly mobile and fast-paced business world, users and clients are becoming increasingly more demanding when it comes to the speed and efficiency of just-in-time processes to ensure that information exchange is not an issue. With these growing demands, businesses are trying to figure out how to meet this demand for faster information due to increased pressure from competitors that are increasing their efficiency, productivity and profitability. 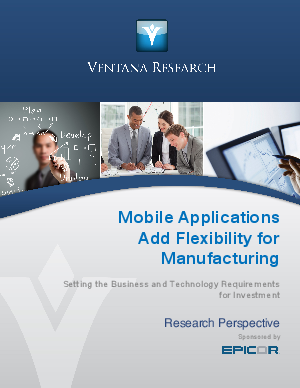 Download this whitepaper to learn how mobile applications add flexibility for manufacturing and see why there is a growing need for faster information due to the fast-paced global competition that is occurring in today’s market.